The quiet genius of Allen Toussaint flowed like a river through the city he loved. Enormously talented, he knew few equals as a songwriter, producer and arranger, yet he carried himself with humility and grace. "My music is homegrown from the garden of New Orleans," he said, preferring always to deflect the attention away from himself. 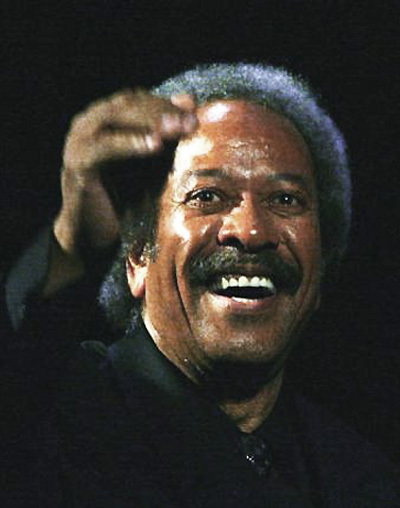 Genteel, immaculate, Allen Toussaint was, without a doubt, one of the most wonderful people I've ever known. I first met him in 1988 when I took the bus up to Clematis Avenue and knocked on the door of his Sea-Saint Studio. I was nothing short of amazed when he welcomed me in, and showed me around himself, even taking a seat at the piano and playing a little something. From that moment on, I became his disciple, and went to see him perform whenever I got the chance. Without fail, he took the time after each show to listen to me and answer my questions... he didn't have to do that, but he did. As I continued in my quest to find the records he had a hand in creating, the doors kept opening in front of me, as one obscure discovery seemed to lead to the next. 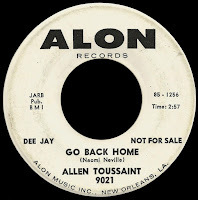 When Katrina hit ten years ago, Toussaint was the reason I started writing this stuff on the internet, as it felt like the wind might just blow it all away... Go Back Home (Alon 9021) would become my first B Side post in September of 2005. Since then, Allen and his music have seemed to run like a thread through everything I've ever written. 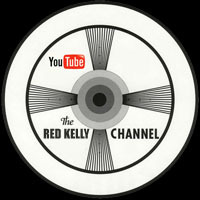 If you type his name into one of those red kelly search boxes, you get over ten pages of results. In 2006, I went so far as to dub him 'The Patron Saint' of the site, as he cut so many great B sides. The more I discovered about him, the more impressed I became with the impeccable quality of his work. 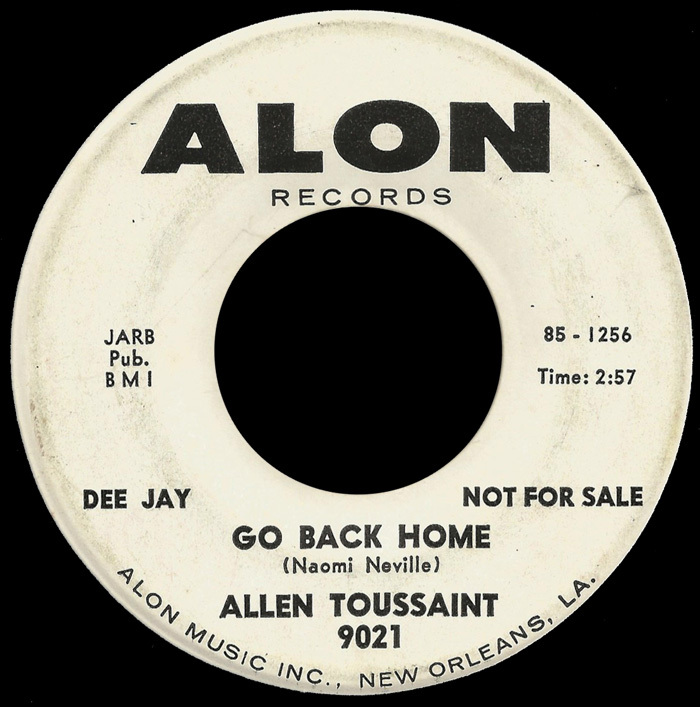 In 2008, I posted a podcast called An Instant of Toussaint that pulled together some of the under-appreciated records he produced for the New Orleans label, and the hits just kept on comin'. I didn't know what they meant at the time, but most of the 45s I was putting up bore that 'cryptic hyphenated set of two numbers' that would come to be known as The Cosimo Code. As we moved forward in researching and building the site in 2012, Toussaint and his work became more prominent than ever before, and the more we learned, the more it confirmed his importance in the development of the music. 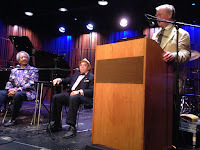 This past April, when John Broven was invited by the French Quarter Fest to moderate a discussion about Cosimo Matassa that would feature Allen and Deacon John Moore, he asked me along to do a short presentation on The Cosimo Code, and what it represents. I was truly honored, and not a little nervous, to say the least... after all, this meant I would be sharing a stage with Toussaint! Before the panel, I told Allen that he was now 'the patriarch' of New Orleans music, and that I thought he was every bit as important a figure as Louis Armstrong or Professor Longhair - but he'd have none of it, and dismissed that kind of talk with a wave of his hand. I kept at it, though, "You're the guy who called Professor Longhair 'The Bach of Rock'," I said, what should we call you?" He looked at me with that sardonic grin of his and said, "You can call me the guy who called Professor Longhair The Bach of Rock," and that was that. "Music is everything to me short of breathing," he said, and now that music is all we have left. Rest In Peace, Southern Knight... this world is a smaller place without you in it. In years past, I had read some of your earlier pieces on Allen Toussaint and his music. But in the aftermath of his passing --amidst my shock and grief-- only inadvertently did I stumble upon this tribute, and I'm so glad that I did. So much of your experiences with Allen echo my own. Nearly 30 years ago, during a New Orleans-hosted National Association of Broadcasters convention, Allen's future partner in NYNO Records, Josh Feigenbaum, hosted an intimate Toussaint performance in a suite at the Marriott on Canal. 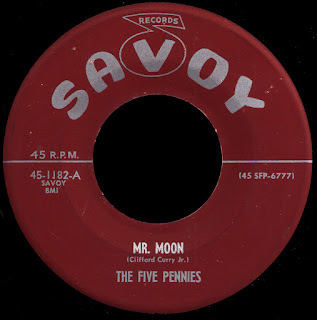 I was not only mesmerized by the performance, I was quite taken by the gentleman who, until then, had simply been a prominent name on many labels in my record connection. A year or so later, on a stop in Nashville en route to New Orleans, I came across a mint copy of Allen's 1958 debut album, "The Wild Sound of New Orleans" and paid a then-whopping $75 for it. So after a couple of minutes, a short, somewhat portly fellow comes out of the studio and introduces himself as Marshall Sehorn, Allen's partner in Sea-Saint. He immediately offers to buy my copy of Allen's debut LP. I demurred, saying that I simply wanted Allen to sign it. He said, "How much did you pay for it?" I'll give you $100 cash right now." At that moment, Allen emerged and, after brief pleasantries, he commented that even he didn't have a copy of his album. This, of course, prompted Marshall to start upping his offers-- $150, $200, $250. I kept refusing, reinforcing the fact that I had simply wanted Allen to sign it, but as he didn't even have a copy of his own, I wanted to give it to him. But just as I was refusing Sehorn's escalating offers of cash, Allen refused to accept my offer of the album as a gift. Allen then gave me a brief tour of the studio, and he and Marshall went back to work. As I was passing back through the reception area, I gave the LP to their secretary and I said, "Please make sure that Allen gets this, not Marshall!" She laughed and promised to fulfill my request. Months later, when relating this story to a friend and fellow record collector, he pulled out a duplicate copy of "Wild Sound" and gave it to me as a reward for having given my own copy to Allen. 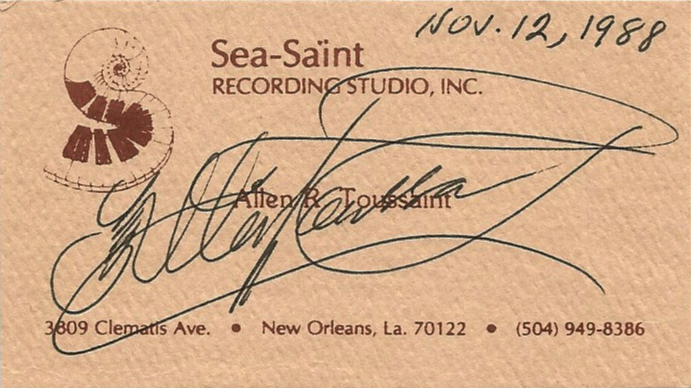 So on my next trip to New Orleans, I stopped by Sea-Saint once again and asked Allen and Marshall's secretary if she could have Allen sign this slightly weathered copy of the album for me. He wasn't there at that moment, but she promised that if I came by later in the week, it would be waiting for me with Allen's signature. Sure enough, a couple of days later, it was there on her desk, with a lovely personalized inscription. But, in fact, the disc was the near mint copy I had given him the year before! In the intervening years, I saw Allen in concert at least a dozen and-a-half times, and was so fortunate to have almost as many conversations with him. I came to truly love him as much as I admired him. Almost two years to the day before he died, I discussed with him the idea of my helping him draft his autobiography. His unflagging modesty made his initial response a very definite "no." He didn't believe that anyone would be interested in his story. 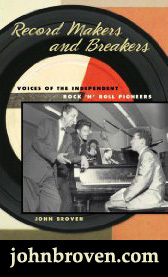 I pointed out, though, that his doing a book would allow the stories of people that he worked with, such as Snooks Eaglin and Lee Dorsey, to be told, and that would be otherwise lost. That argument seemed to convince him. But shame on me, I left life get in the way --I dawdled-- and now his personal story and recollections are forever lost. 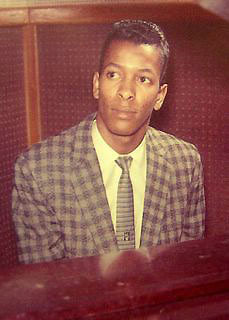 I was certain that Allen Toussaint would be around for years to come. Yet, I feel so fortunate to have known him to the extent that I did, to have the exchanges with him that I did. Sometime after Katrina, I asked him if he had lost all the mementos and artifacts of his career and he said, yes, he had. But fans around the world had been sending him copies of discs and sheet music to rebuild his archive. I said that I remembered that even prior to the flood, he didn't have a copy of his debut album. 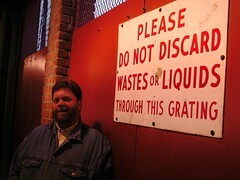 And, clearly not remembering my association with the event nearly 20 years earlier, he said, "No, I had one. A very nice young man came by my studio one day and gave me a copy." I was so flattered by that comment, I felt no need to claim credit for the gesture those many years later. I realized after the fact that that was most certainly how Allen Toussaint would have responded, and I took a small measure of pride in that.